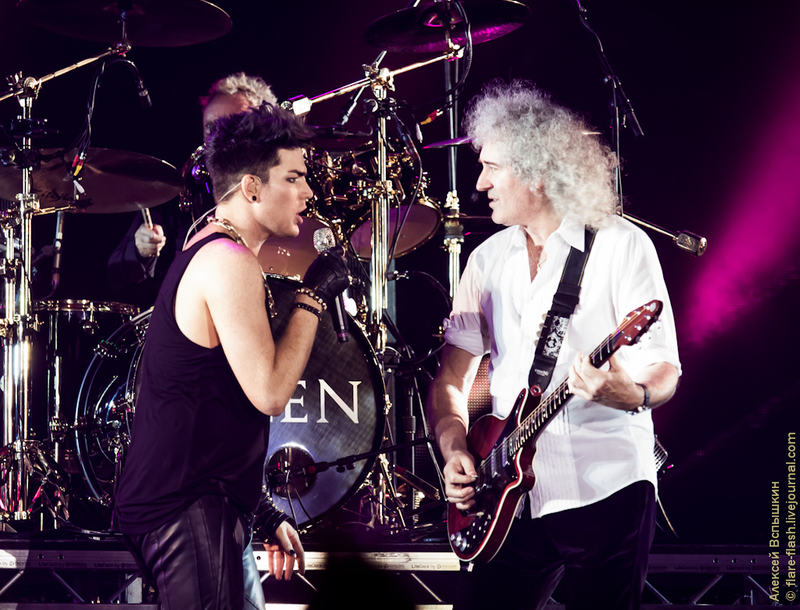 QueenOnline Message Board • View topic - 7 July Poland?! Prescott wrote: Do you happen to know of any site selling tour merchandise? It's not official tour merchandise. Out of The Shadows wrote: Possible Livestream! Thank you for the merchandise information. I saw a picture of a black shirt with the tour dates on the back. That's the one that I am hoping for. Just a note, the Livestream is great but the streamer is turning off the feed when Adam isn't onstage to preserve battery power. Sounds really good, much more comfortable. Crowd is having fun from what I can see. I was glad she turned it back on for LOML, but we lost it after SWTL because her battery ran out. The red jacket is by The Blonds, who are friends of Adams. did AL wear that jacket at the show in Poland? magicshoes wrote: did AL wear that jacket at the show in Poland?